ESE Projects have been designing and installing glass partitioning for over 20 years now, in offices, reception areas, meeting rooms, viewing areas, corridors, as well as retail and trade showrooms. 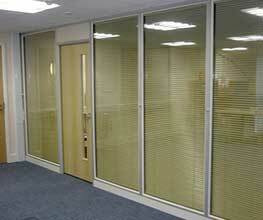 Full height frameless glass partitions are not the best for sound insulation (if sound reduction is very important you would be best with framed double glazed partitions) but they look fantastic and provide the maximum transfer of natural light, especially useful if you are creating offices or rooms that will not have their own natural light within larger offices or areas. 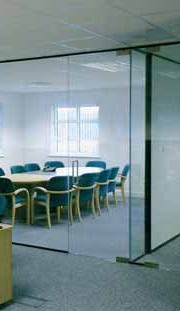 The following are the two main manufacturers glazed partitioning systems we recommend, but if you have another manufacturers specification you prefer we can normally still provide a very cost effective solution using their systems, so for free no obligation advice and quotations please contact us and we will be glad to help. Tenon Vitrage is a glazed partitioning system that combines function with the clear aesthetic benefits of frameless silicone glazing. 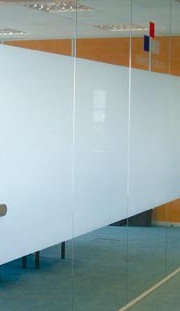 Using small aluminium floor tacks and head track sections to ensure the glass is fixed securely in place under the suspended ceiling in your office, Vitrage glass partitions provide a physical office divider / screen that allows unhindered vision and maximum transmission of light while still providing an element of privacy for individual offices, meeting rooms and reception areas. Using either 10mm or 12mm toughened glass, depending on the height of the glass partition to be installed, the glazing is retained using crystal clear glazing gaskets that remove the need for use of silicone around the perimeter of the system. Vertical silicone joints maintain the visual simplicity of the product, whilst crystal clear plastic jointing sections may be used to provide dry joints between glass panels if preferred. To maintain the open feel of the product, frameless doors are fitted within the system using floor pivots and patch fittings or floor springs if required. If standard timber veneered doors are required these are accommodated within the standard range of Tenon doorframe profiles, which are fully compatible with Vitrage glazing sections. Where desired, or in order to comply with building regulations, fully glazed panels may have manifestation films applied to them, these can simply highlight the presence of the partition by a series of dots or lines or we can create individual designs or incorporate your company logos to make a feature of them, the choice is yours. Solid intermediate walls are constructed using standard stud and track partitioning system components and the full range of Tenon joint and trim options are available to form a cohesive design regardless of the partition wall structures chosen. "A clear choice for the modern office" cool, serene and crystal clear, Infinity Connect and Contour incorporate one of the most appealing joints available today. 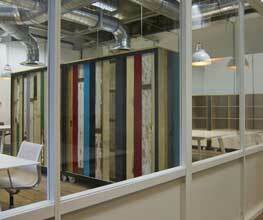 The nebula-hesion joint is the key to the superior aesthetic appeal of the Infinity Glass partitioning range. The unique frameless symmetrical locking system, which is virtually unnoticeable, is friction fitted and creates a striking frame free glazed finish. 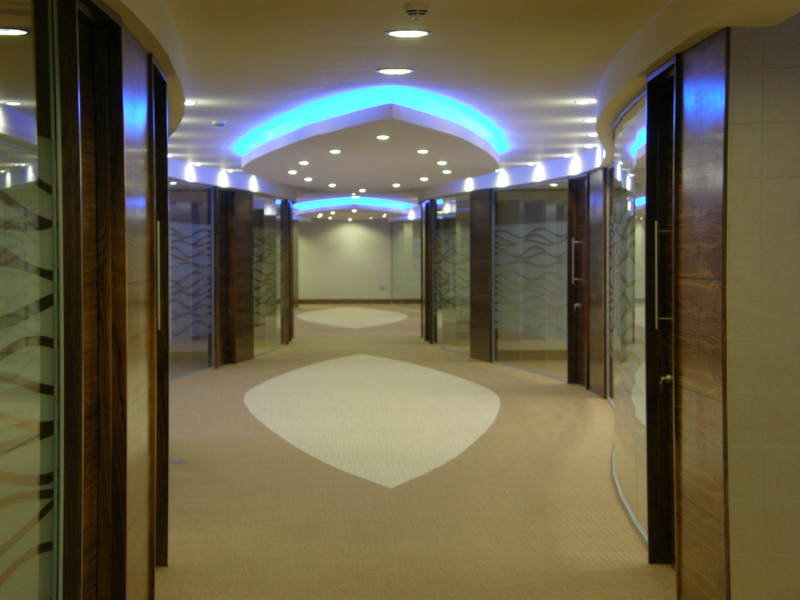 Glass partition panels can be constructed in attractive smooth lines or pleasing curved forms to create a virtually seamless and alternative architecture. Infinity Glass partitioning is a flexible, modular and relocatable system, tailor-made to your requirements to shape a visually stunning yet practical environment. Like Tenon we can add solid partition walls and framed part glazed partitions to the runs of Vitrage and provide a single manufacturer solution that matches all the colours / features and specifications of the office.